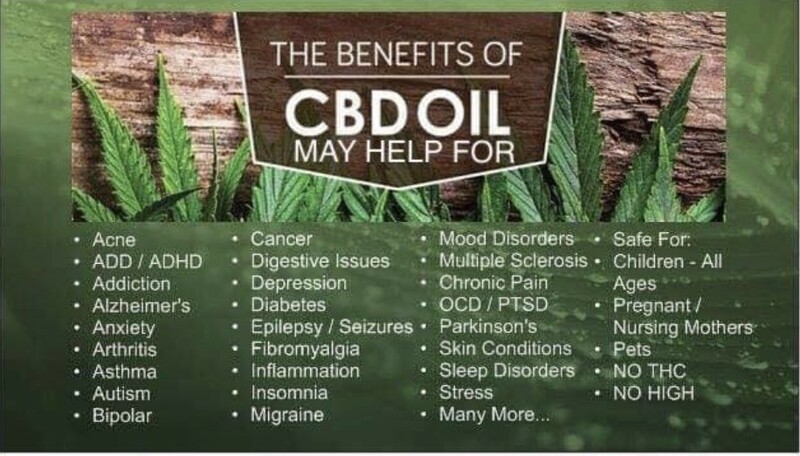 I am sure that by now you have heard all about CBD Oil, and how it can help with so many health conditions in so many ways. CTFO 10x Pure is the latest addition to CTFO’s range of products, and it is unique to CTFO. It is an extremely exciting discovery which will be of so much help to so many people. It delivers CBDA to the body. 10X Pure comes in three strengths: 500mg, 100mg and 1500mg. Only you can decide which is the best strength for you – I would always advise anyone to start with the lower strength and then increase it if you feel you need it, although if your symptoms are really severe, then you may well need the stronger ones. “CBD is created when the naturally occurring CBDA (cannabidiolic acid) is processed especially when heated during extraction. CBDA has been found to have more anti-inflammatory properties than CBD as it is a potent inhibitor of COX2 which is the same mode of action as non-steroidal anti-inflammatory. Here is a non-scientific explanation of exactly how CTFO 10X Pure CBD Oil works. When 10xPure was being tested for Bioavailability (absorption), the scientists discovered something amazing that happens with CBDA in the body. These studies (which David D’Arcangelo is working) will show 10xPure products keep the integrity of the CBDA. This allows CBDA to reach the target in the body. When it reaches the target it gets their as CBDA. In the scientific study, 10xPure was able to maintain its integrity while passing through the kidney and liver cells. Do a google search on the health benefits of CBDA and you will be blow away. CBD Oil consists of cannabinoids which are NOT water soluble. The process of using Nano technology to assist in making the oil water soluble, offered by competitors, “chops” the molecules of CBD. This actually damages the molecules. 10x Pure does NOT damage the molecules. They are all intact, and bioavailable. Jeremy Ducharme (CEO of 10xPure) recently said that water soluble is not about absorption or penetration. What makes 10XPure so special is that it is HYDROPHILIC. It is important to realise that there are companies who sell products labelled as CBDA but those products do not have the ability to deliver CBDA in an undamaged form. Don’t get me wrong, all kinds of CBD Oils are really great, and may effectively help with so very many health conditions as shown at the top of the page. I would probably advise most people to begin their journey with CBD Oil by taking either the Full Spectrum CTFO CBD Oil, or CBD Isolate Oil. Those should help with most minor health conditions. It is important to use the Oils in the correct way. The drops should be taken sub-lingually and kept under the tongue for a minimum of 20 seconds, more if possible. This enables the oil to be more easily absorbed by the body. But some people with more serious conditions would probably benefit by taking the supercharged 10x CTFO CBD Oil, which, as already stated, delivers the added benefit of CBDA in its undamaged form to all affected areas. This added strength can particularly help with all kinds of pain and inflammation. Why should we worry about Inflammation? 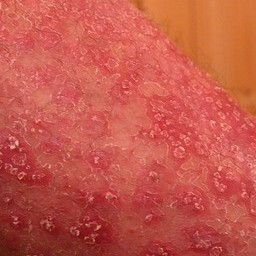 Inflammation is a contributory factor to a far larger number of medical conditions than I, for one, ever realised! It is by no means limited to the surface swellings which follow injuries to the outer body. For example, Asthma causes inflamed airways which produce its symptoms, and according to Wikipedia,chronic inflammation is a contributory factor in up to 25% of Cancers! So it is very possible that we may be suffering from inflammation without even realising it. And I don’t know about you, but I would far rather do my very best to prevent a condition before it is obvious, than to wait for it to appear and then try to cure it! This is where 10xPure CBD Oil comes into its own. Inflammation control is its speciality and it can really help with it, and with all kinds of pain whether or not that pain is associated with Inflammation. 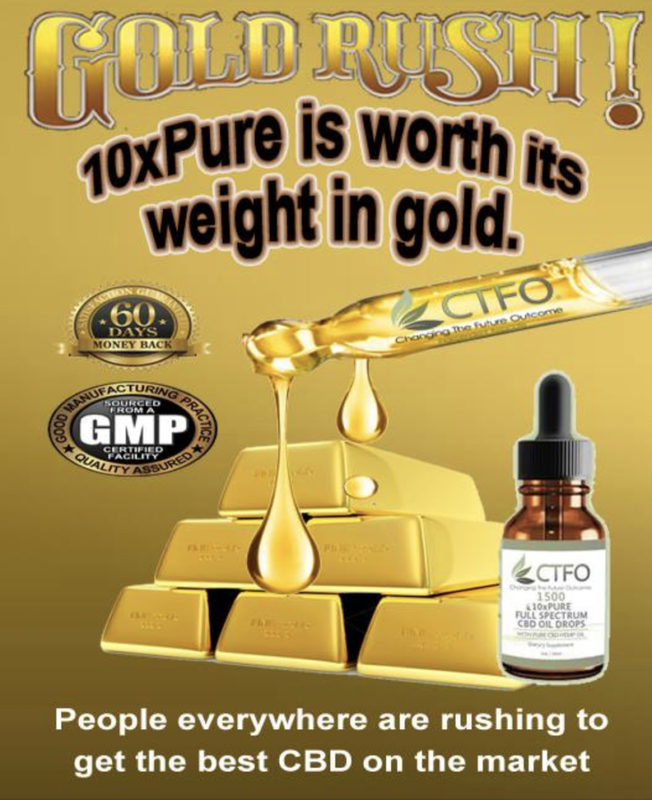 10xPure CBD Oil which delivers CBDA is absolutely the Gold Standard of CBD Oils, and it is uniquely available from CTFO. 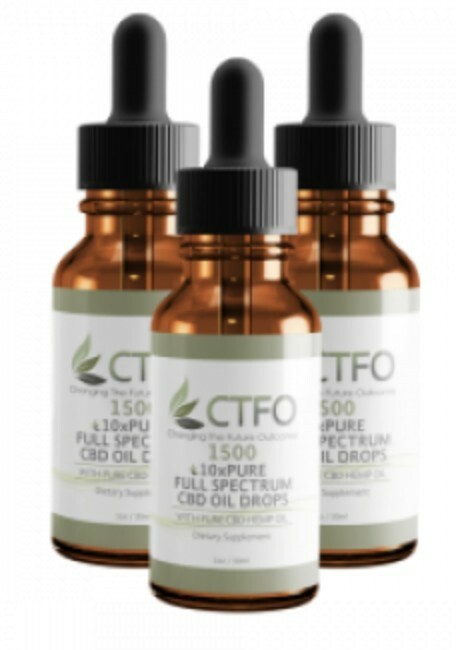 CTFO 10X Pure Full Spectrum CBD Oil is the only CBD Oil which is capable of delivering CDBA to the body in undamaged form, due to the unIque way in which it is made. It is a patented product, so no other company is able to sell it. So many people are saying how much 10X Pure CBD Oil has helped them. Truly, that speaks for itself. And there are so many more testimonials on the Facebook page. I am sure that everyone knows someone who could benefit from taking 10X Pure CBD Oil and I do hope that you will do them a favour and tell them about it! If you would like to visit the website, you can do so here. Hey Chrissie – that sounds so interesting. So 10x Pure CBD Oil is simply put is like the CBD superhero? I’ve heard some really amazing things about CBD oil and I have a friend that uses it regularly to help with her multiple sclerosis symptoms. She also smokes weed often. 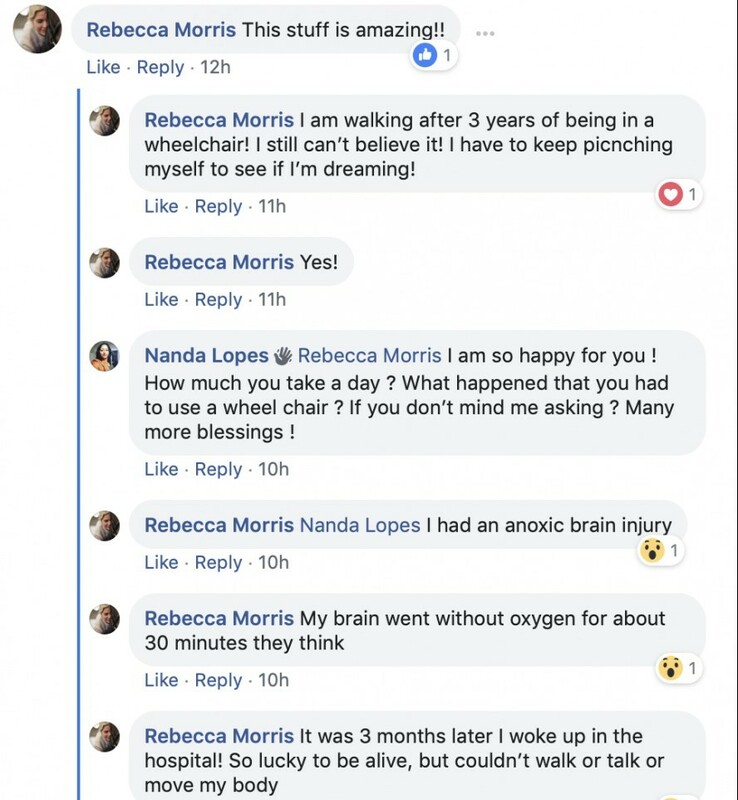 She says it really helps her since she is really struggling not only with the symptoms of her disease but also the awful effects of all the medication that she is on! Thanks for sharing this awesome product. I will tell her about it! 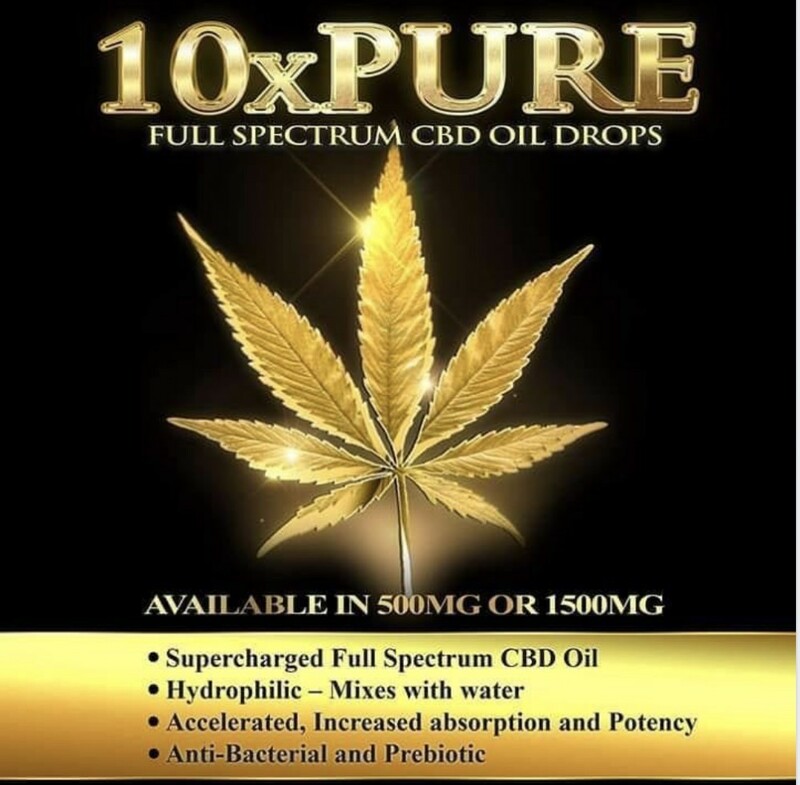 Absolutely I would agree with you that 10X Pure Oil is the CBD superhero. Interesting review! Yes, CBD oils have become a popular choice for relieving the pain and helps with a myriad of ailments, problems, and diseases. Every online affiliate marketer do needs to choose a niche, as I have always want to had website on the health and wellness niche to my online marketing, but still gathering some information. But is like am totally new to this 10X Pure CBD Oil but I really love it’s upgraded features especially the 10XPure being hydrophilic. I will love to recommend this to my parents as the CBD oil is about finishing, so as to test 10X Pure CBD Oil for the next purchase. Thanks for sharing this information. 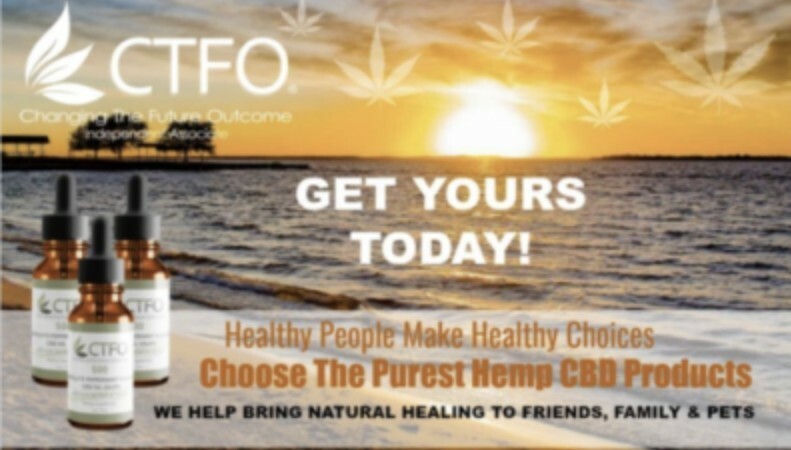 I would think that CTFO CBDA Oil would make a great niche, especially as you wish to have a health and wellness website. You can also get more information about it on this link: https://myctfo.me/chrissies where you can also buy it if you wish. 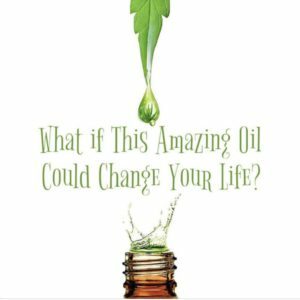 I would suggest that you join CTFO (which is free) if you wish to purchase the oils, as you will then get the products at wholesale prices, which are at least 30% cheaper than retail prices. I do hope that you will recommend it to your parents. Very interesting article. I have just started researching CBD oils. I have a dog who has just been diagnosed with a neurological condition and (bad) generalised anxiety disorder. Would you be hopeful that this product might be useful in supporting her? I will be bookmarking your page for further reference. Thank you. I would think that CBD Oils would be able to support your dog’s condition. In addition, CTFO also make CBD products specifically for pets. If you do wish to purchase them, I would suggest that you join CTFO (which is free) as then you will be able to get the products at wholesale prices, which are over 30% cheaper than retail prices. Good to know this information about CBD oils. I have heard of it and seen it advertised but I am happy to know a little more about how it works. My main concern is that inflammation seems to cause so many ailments, and for that reason I would like to try this brand. It’s advantage for absorption and affinity to water is a plus, and it’s easy to administer, getting into the body more efficiently. Thanks for this article. I’ll be checking it out. I am very happy that you found my post informative, and I am sure that you too would be very happy with the benefits you could get by taking it. I am quite impressed with what the CBDA in its holistic, complete and natural form can do. While I was reading through, I imagined all the pains that I have had that must have been from inflammation. I also could see how the 10x pure CBD Oul can greatly improve the health of my mother who is hypertensive and always sore. I just have to stop the procrastination and this wonder oil for pur benefit. Can we just start with the 10x pure but with reduced doses? I would think that you could probably start with the 10X Pure 500 CDB Oil, and as you say start with very small doses, say 2 drops twice a day for the first week, and increase by one drop per dose each week until you feel that you have reached your own optimum dose. I would actually recommend that you join CTFO, which is free, and then you will be able to but the oil at wholesale prices, which are over 30% lower than retail prices. CBD oil is made by extracting CDB from the cannabis plant, then diluting it with a carrier oil like coconut or hemp seed oil. this oil has has been prove and confirm that its help to treat variety of ailments like chronic pain and anxiety. You obviously know a good deal about CBD Oil and its amazing benefits.That is very good to hear. On your About page you say you are very interested in Natural Remedies. I am too as I believe we can find in nature all we need. Yes, I am a fan of CBD oil for medical purposes. Very interesting to read that the 10xPure product keeps its integrity so it arrives at the place in the body where it is needed complete. I think I will have to try this CBD oil and test its effectiveness. Thank you, this was really informative. Yes, the 10X Pure really is a great product, and probably the most effective Natural Remedy that I have come across. I would recommend joining CTFO, which is free, as then you will get the products at wholesale prices. 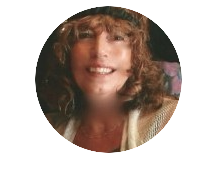 Thank you so much for your in depth review and analyzisis of CBD. I must admit after reading your post I feel like I knew very little about CBD and what it dies and how we should really take it. 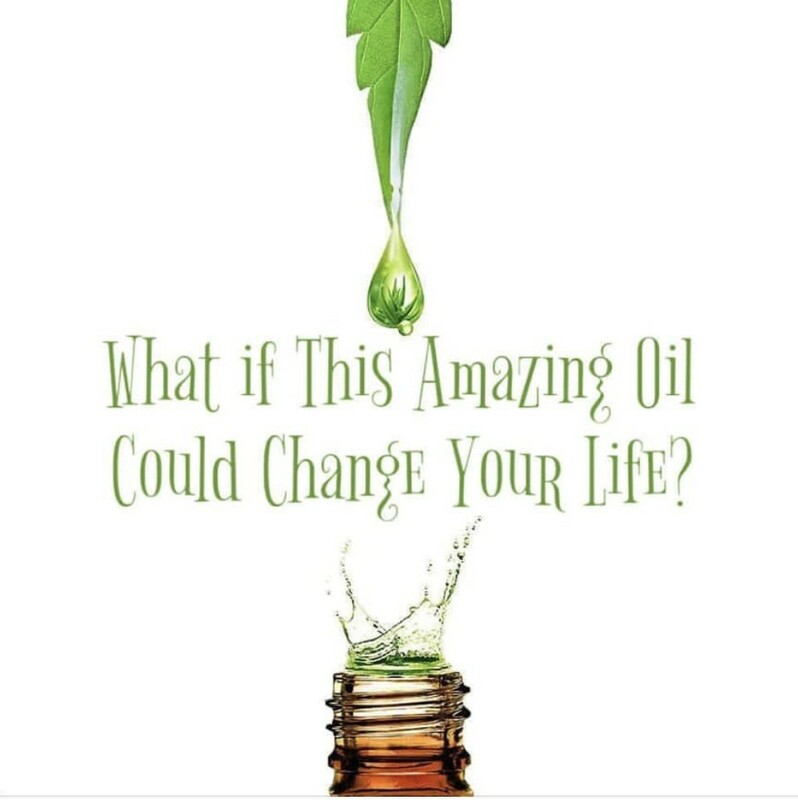 I mean I had heard of it before but did not know there could be such a difference in the potency of the Oil we choose and how you are really suppose to take it . 10XPure really got my attention or maybe I should say your post got my attention and I will definately have a look at it and maybe order soome. I just hope I can order it here in Spain where I am since sometimes it is not as easy here to get the good stuff like in other places. Yes, 10X Pure really is a great product. You can find out more information here : https://myctfo.me/chrissies and if you wish you may order some. It is worth joining CTFO because then you can get the very best prices, and the video on that page is well worth watching too. You may not be able to order it in Spain at this moment, but you will be able to do so imminently, as CTFO is about to be available in Spain and several other European countries. Previous Previous post: Benefits Of CTFO CBD Oil, And Where To Buy It.